After recently enjoying the Disney musical Newsies,the Ode Street Tribune's publisher instructed the Tribune's managing editor to order the Tribune's newsboys to go on strike. 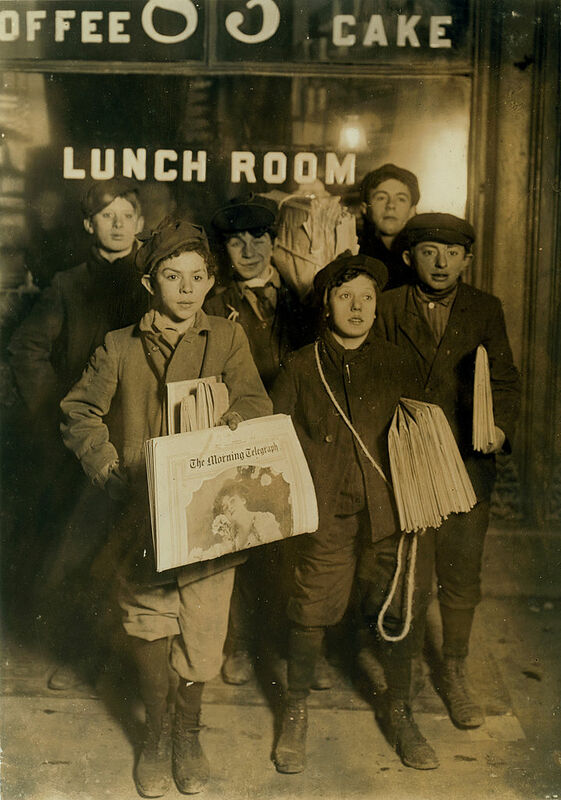 "The newsboys strike of 1899 made Joseph Pulitzer famous," said the Tribune's publisher. "Who would have ever heard of Putzer if it weren't for that strike?" "Porky, tell our g*dd**n newsboys to get out on strike or I'll fire their asses!" "But but sir, that's just not possible," said the managing editor. "Don't but me or you'll get your head cracked open," said the publisher, known throughout the newsroom for his concrete-headed style of decision-making. "Cut their pay, add some extra copy to make the paper heavier, print a Saturday edition, do whatever you gotta do to get them to go on strike." "Of course sir, yes sir, those are all excellent ideas, sir. We'll have all the Tribune's newsboys out on strike pronto. You understand, sir, that with the newsboys on strike, printing the Tribune isn't worthwhile. The journalist, along with all the division heads, deputy editors, editors, and other administrative functionaries will have to be put on vacation status until the strike can be resolved," said the managing editor. "I want to be in a musical," said the Tribune's publisher fiercely. Publication of the Ode Street Tribune will cease as of today on account of its newsboys strike. Publication will resume as soon as a plot for a musical has been established or the strike is otherwise resolved. Local residents are urged to petition local opera company UrbanArias to try to arrange for an intervention. We hope that the matter will be settled by early July. Thanks for your support. The publisher is standing firm in his demands. The strike will continue until he gets in a musical. But what about the overall welfare of America? Can't you see how far this country has fallen since this strike began? Do you really want to be known as the publisher responsible for the downfall of this country? God have mercy on us common folks!! !